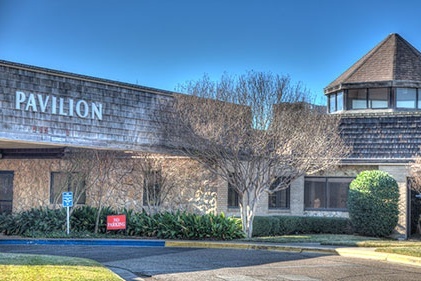 The Ascension Providence HR Department is located in the Pavilion at the Ascension Providence Health Center. The Pavilion is the building closest to the HW 6 Post Office. You can reach the Pavilion by exiting Londonderry Dr. off of HW 84 or turning onto Londonderry Dr. from Sanger Avenue. Please park in the Red Parking lot. View the Ascension Providence parking map. Once parked, you will see a small circle drive under an awning. Go into the manual double doors under this awning; there will be a sign outside the doors that says “Hospital Entrance” with an arrow. Once in these doors, walk straight down the hallway in front of you and HR will be the second door on your left. Continue down this hallway to get to the Pavilion Auditorium. It will be the next set of doors on your left.